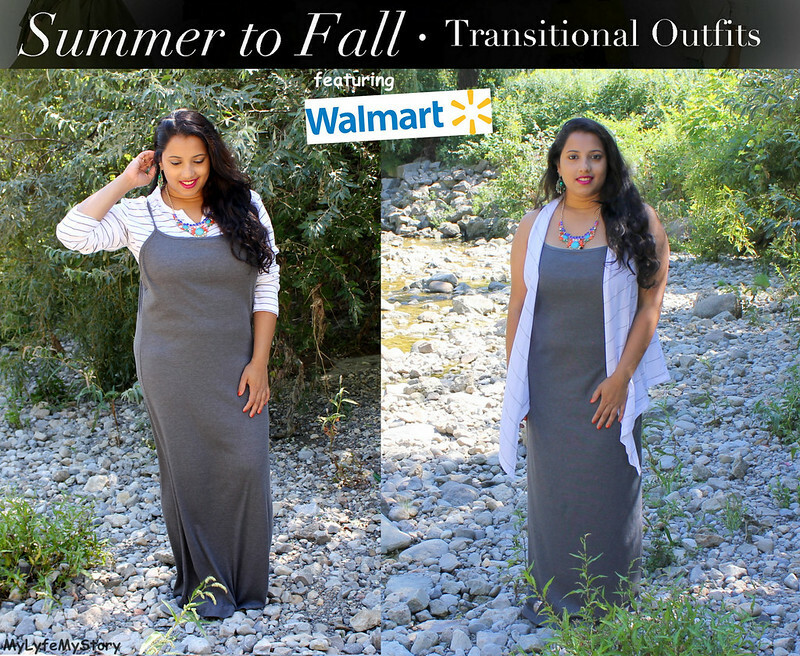 In the first "Summer to Fall Transition" post, I decided to style the "Women's Murphy Maxi Dress" by the George collection from Walmart Canada. The world's largest retailer, Walmart has officially brought out the fall fashion pieces into their stores. In 2010, Walmart took a dramatic turn to invest more focus on its fashion brand. 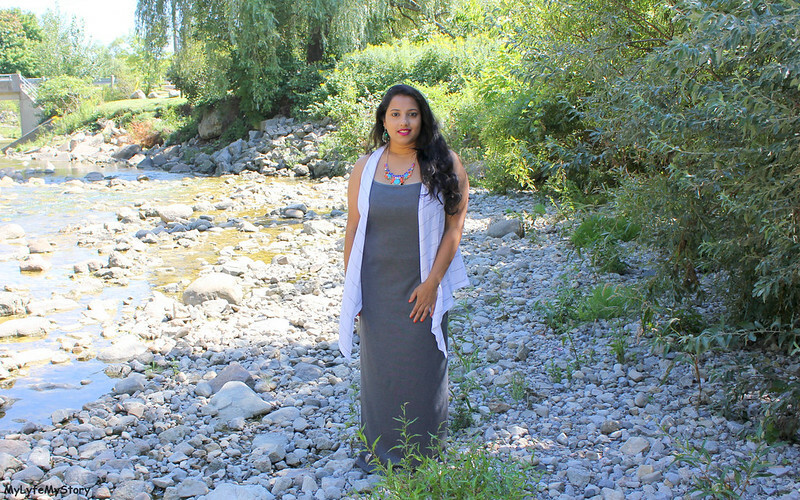 In this post, I have styled the "Women's Murphy Maxi Dress" by the George collection from Walmart Canada. The Maxi Dress is a solid jersey midweight sleeveless dress with cut-out back panel. Also, it has an open weave back panel in spine-like design and floor length maxi dress. 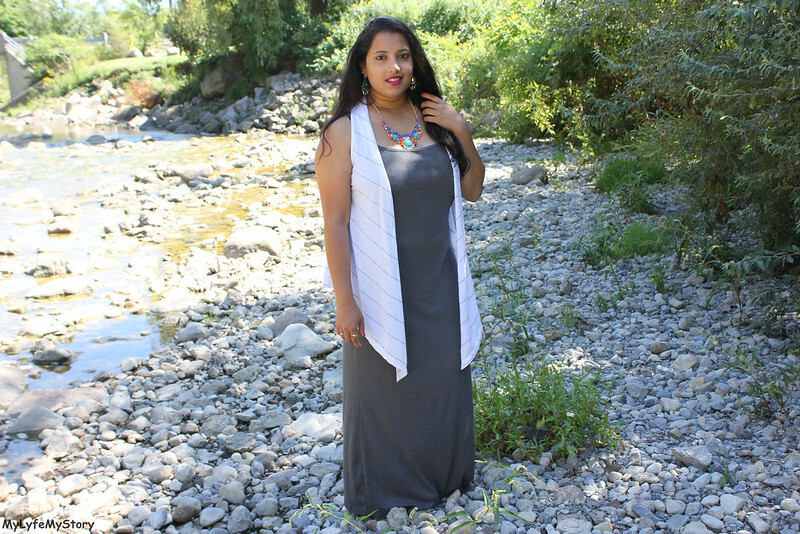 "Women's Murphy Maxi Dress" paired with a sleeveless white pin-stripe vest from the George collection. Added a pop of color by wearing a chunky gemmed necklace, emerald green earrings and black pumps. "Women's Murphy Maxi Dress" paired with a Men's lightweight vertical line sweater by the George collection. Instead of changing the accessories, kept the chunky gemmed necklace, emerald green earrings, and black pumps. Disclosure :: This post is sponsored by Walmart Canada. In exchange for this review, I have received special perks in the form of a gift card. As always the opinions on this blog are my own. Gorgeous, I love your looks and outfit pretty. Stunning outfit picks - you look amazing in both. You look amazing Harija!! I love the both looks!! 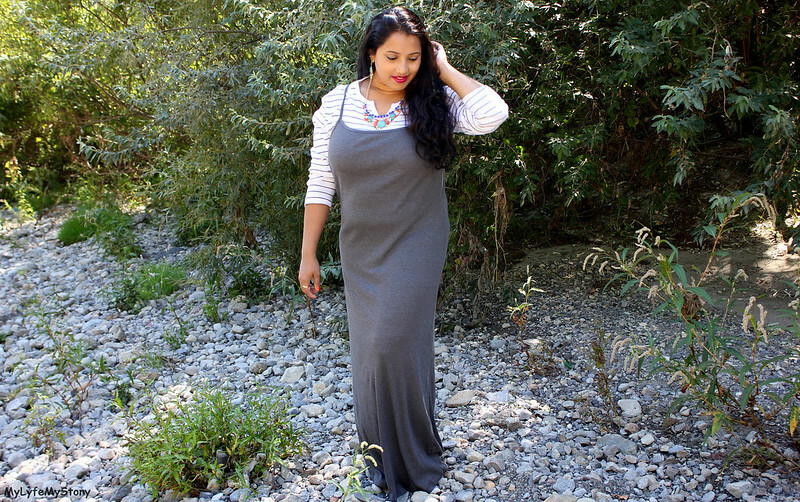 This Plus Size dress is gorgeous on you! So flattering! Love both of the look. You look gorgeous.